Cover of "Melodrama" by Lorde. Lorde’s highly anticipated sophomore album “Melodrama” starts as a relentless pursuit of distraction through wild nights, set to synthesizers and deft beats. While its upbeat songs are full of energy and the perfect pop anthems for a night out, they don’t fool anybody. The album takes place after the party, when the fun is over, and its topics are the bitterness and loneliness of lost love. 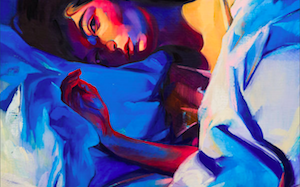 “Melodrama” is above all a breakup album of the best kind, one that encapsulates the infatuation of love as well as the mascara-tainted tears of heartache and emptiness. Less idiosyncratic than her first effort “Pure Heroine,” which embodied the voice of outsider youths looking into a foreign world of glamour, “Melodrama” is equal to if not better than its predecessor. Its painfully relatable, sophisticated lyrics and distinctive electronic sound are sure to make it an instant hit. Of all the songs on the new record, “Homemade Dynamite” stylistically shares the most with her last album. Lorde peppers the synth-heavy song with her familiar touches of accelerated lines and falsetto choruses. At this point, we are at the height of the party, the lyrics painting a scene of dancing, drinks, and revelry. In short, this song will be sure to be overplayed on the radio in a few months. The album reaches its emotional peak in “Hard Feelings/Loveless,” which has divergent parts. The first is concerned with the end of a relationship and the broken pieces left. The verses are sung in a high-pitched voice, perfectly coupled with metallic sounds and screeches in the background reminiscent of malfunctioning vehicles and car crashes. This eventually transforms into a livelier second part about the hostility that replaces love. Compared to the first, this part of the track is much more bubbly. 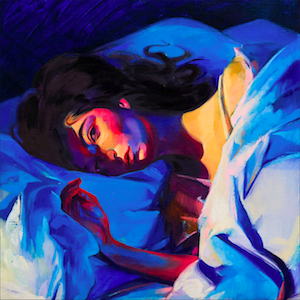 These lyrics are riddled with Lorde’s signature humor and sung with an ironic sweetness that perfectly evokes the spirit of the stereotypical crazy ex-lover: “'Cause I’m gonna mess your life up / Gonna wanna tape my mouth shut / Look out, lovers.” That same humorous tone is also found in “Writer in the Dark”, which does not hold back at all: “I'll love you till my breathing stops / I'll love you till you call the cops on me.” The excess is simply lyrical genius. “Sober II (Melodrama)” goes straight to the eye of the tornado of an ending relationship, its aftermath filled with violent fights, mistrust, and hopelessness. The exhaustion and sadness in Lorde’s vocals fits wonderfully with the amalgam of violins and electronic beats. 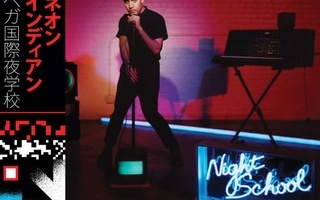 The biggest dance anthems of the album are “Supercut” and the album closer “Perfect Places.” The former focuses on fading memories of a relationship, and the latter leaves us at a party right back where we began. In “Supercuts,” Lorde once again captures those habits so particular to breakups, like the reconstruction of memories the way we wish they had occurred. This song feels more streamlined than the more experimental tracks on the album: It has a strong dance beat familiar to pop music. “Perfect Places” is another likely hit, featuring a catchy electronic tune accompanying its soft melancholy. The lyrics to both songs are poignant, sure to defy any critics who find pop music meaningless. Anchoring all of this is “Liability,” a song touching on the alienating nature of fame and loneliness. It is stripped down of any music except a piano, using simple but harrowing chords which is perhaps what makes it so heartbreaking. The fragility in the lyrics and vocals means listeners do not have to be famous to relate (“He don't wanna know me / Says he made the big mistake of dancing in my storm / Says it was poison”). “Melodrama” triumphs in its ability to capture all the different facets of love and its consequent heartbreak. Each song explores these feelings in a tender way, slowly peeling back the layers of boozy nights until we are confronted with truth and raw emotion. Lorde (whose real name is Ella Yelich-O'Connor) and her primary collaborator Jack Antonoff should congratulate themselves on creating an album that is likely not only to prove successful commercially but also to remain in its listeners’ hearts.